How do the locals enjoy the charms of the city? They frequently spend their leisure time idly over coffee, good food and wine, but apart from that they are also very active. Well, they have appropriate conditions for that. 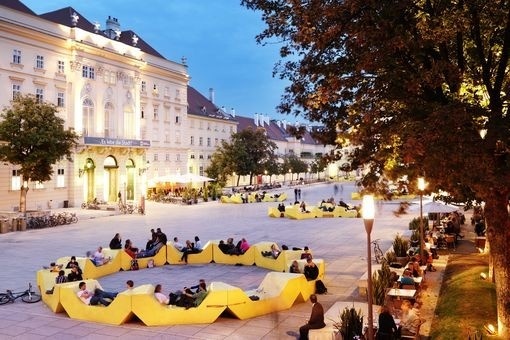 Vienna once again won the contest for the best city to live in. Here, you can sunbathe, play sports (there are different kinds of volleyball courses, cross-country tracks, etc. ), grill or spend time pleasantly in the beach bars and restaurants on the so-called Copa Cagrana. 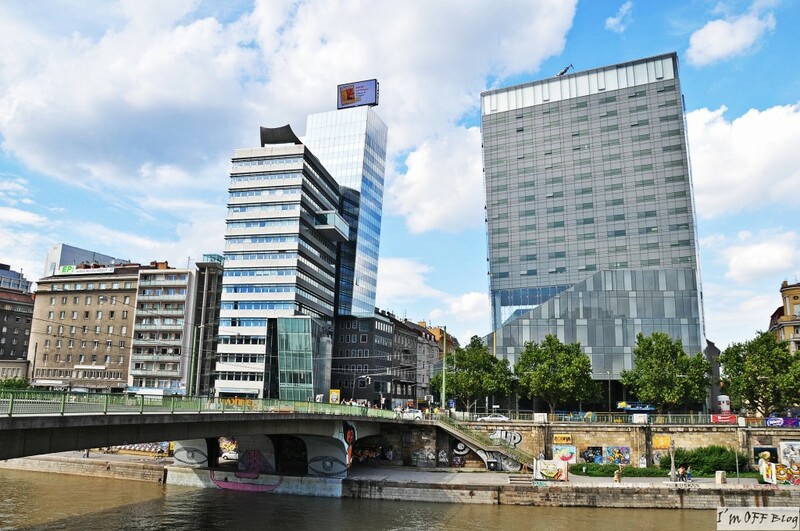 One of the highlights in this part of Vienna is the Danube festival (Donauinselfest) – three-day event during which the city is visited by about 3 million tourists. Numerous open air concerts take place at that time, all of them for free. 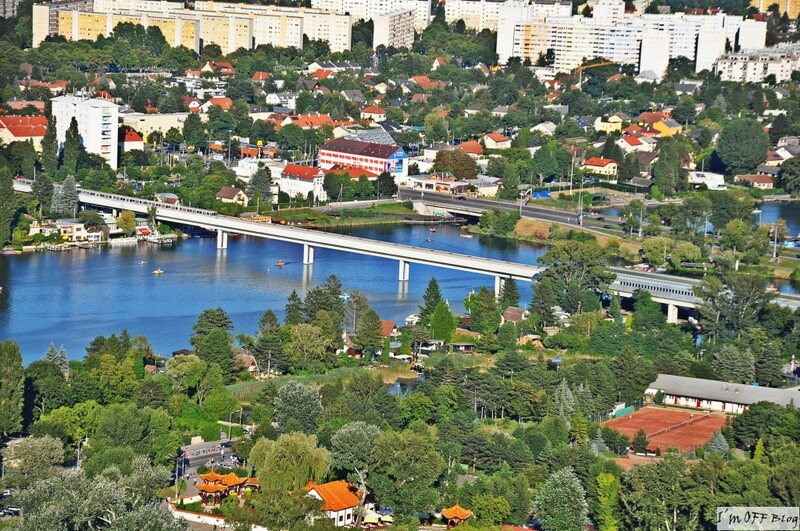 Approximately 10 boat rentals thrive at the Old Danube. You can bring your lunch and set out on a pedal boat or motor boat trip. Drifting slowly away from the hustle and bustle of the city, one may feel like on holiday. Old Danube attracts sailors, surfers and paddlers. For lovers, there have been organized moonlight boat rides and boat picnics with champagne and a basket of food during fine weather since mid July until August. In the area there is also a public bathing beach – Gänselhäufel. 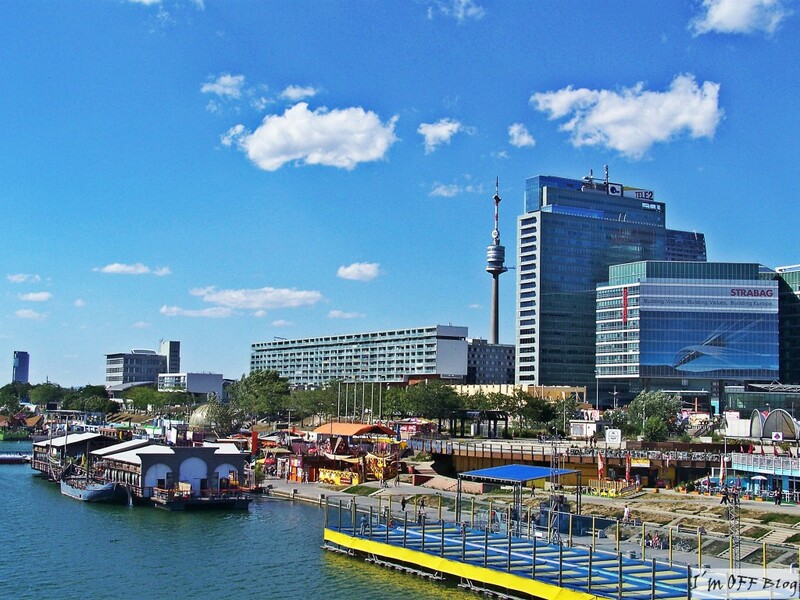 One of the main tourist attractions in Vienna is Prater which is one of the oldest amusement parks in the world. Only few tourists know about the existence of a smaller and more intimate theme park than the one called Böhmischer Prater, which is connected with the recreational district next to the wood – Laaer Wald. It offers many attractions such as roundabouts, ferris wheel, „Tivoli” party hall and various culinary delicacies served in the traditional restaurants. After such an entertainment, the Viennese laze around in the Laaer Wald, fly kites or just stroll. Danube Canal, which is 17.3 km long, is a result of the regulation of the Danube river. To accurately feel the atmosphere of this place it is best to take advantage of the cruise ship (DDSG) or catamaran (Twin City Liner) excursion. Along the canal, plenty of al fresco dining places can be found. One can also admire the graffiti created by urban artists. The most popular place – Strandbar Hermann, attracts mainly young people. One can lounge in a deckchair or hammock on the sandy beach, listen to music, drink beer and relax. Another well-known place is Tel Aviv serving Israel cuisine and the so-called Badeschiff – ship with an on-board swimming pool. 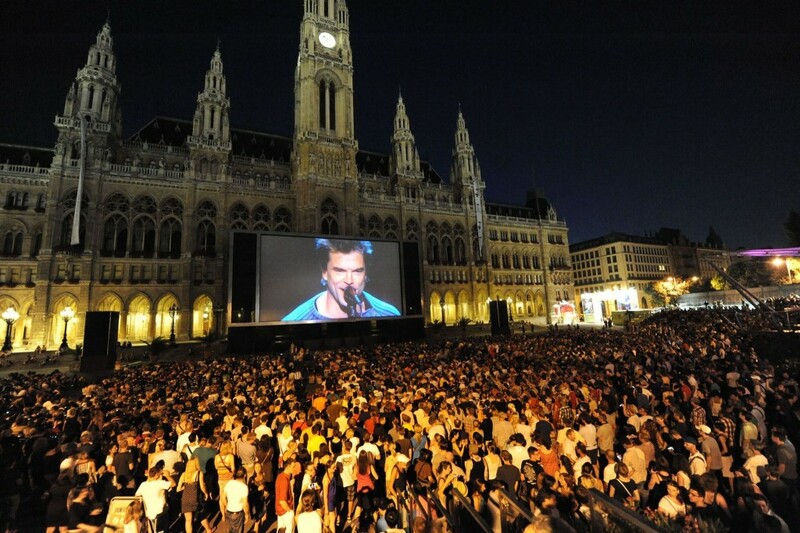 Vienna Film Festival has for years been a favorite meeting place for the Viennese who decide to spend the summer in the capital. Apart from films, in the program one will find classical, opera and world music concerts. The perfect complement is the rich repertoire of culinary delights from different countries. 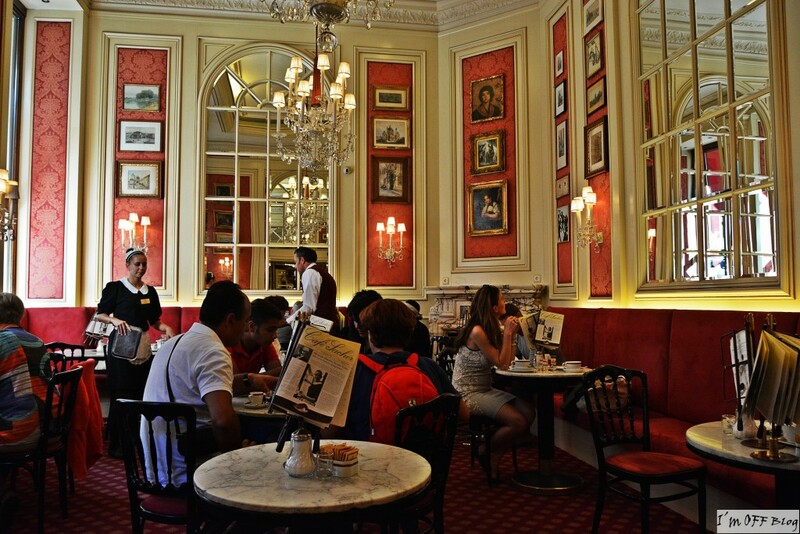 We can choose between Mexican, Asian, American cuisine and Viennese delicacies. Free Admission. 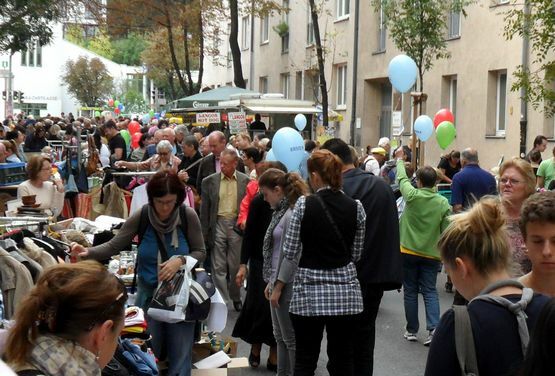 Flea markets in Vienna became a kind of tradition. I think there is no thing one would not be able to buy at these markets. They are always vibrant with life and most of them are organized together with a rich culinary offer, musical setting and attractions for children. I especially recommend Flohmarkt on the Obkirchergasse street where you can easily find numerous interesting things. As early as at 5 am, you can hear the buzz of people haggling. You can also meet a lot of his countrymen in Vienna 😉 What is more, in Vienna one may also find a multitude of flea markets organized every weekend (e.g. Schwechat Flohmarkt). Each and everyone can sell upon prearrangement. It is a common practice that children sell their old toys to collect money for new ones. 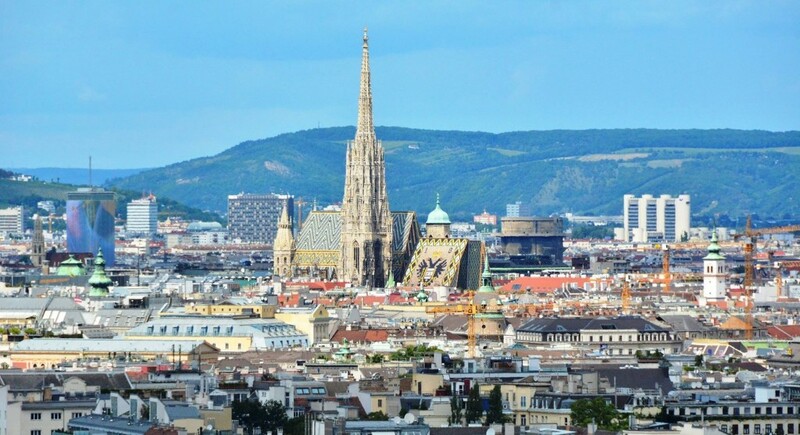 In the capital of Austria, there are about 50 public swimming pools. Indoor pools are open all year round and those outdoor ones from May to September. 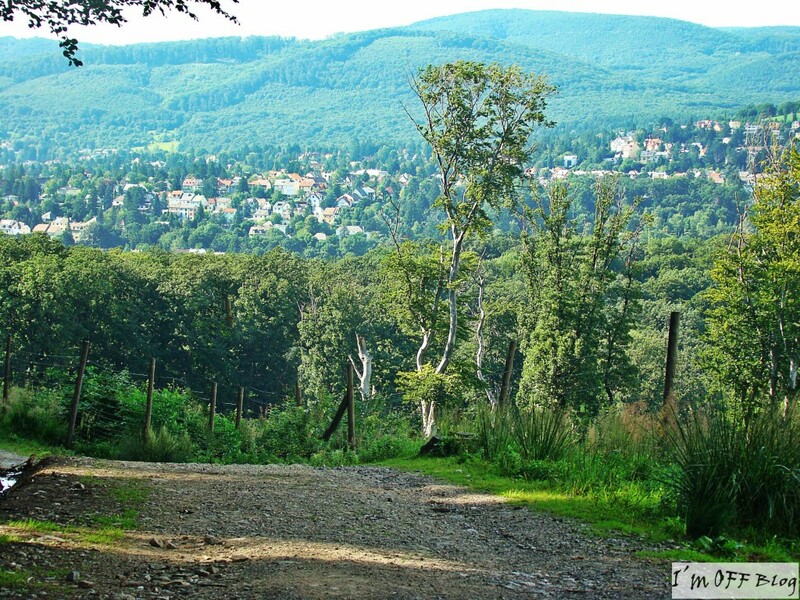 In the suburbs, there is a healing water spring Oberlaa known for its hot springs, more popular in the winter. On the surface of 6 000 m² there is as many as 26 swimming pools and more than a dozen of saunas. In the summer, the pools are very crowded and offer various attractions such as artificial waves, slides, playgrounds, sports fields. 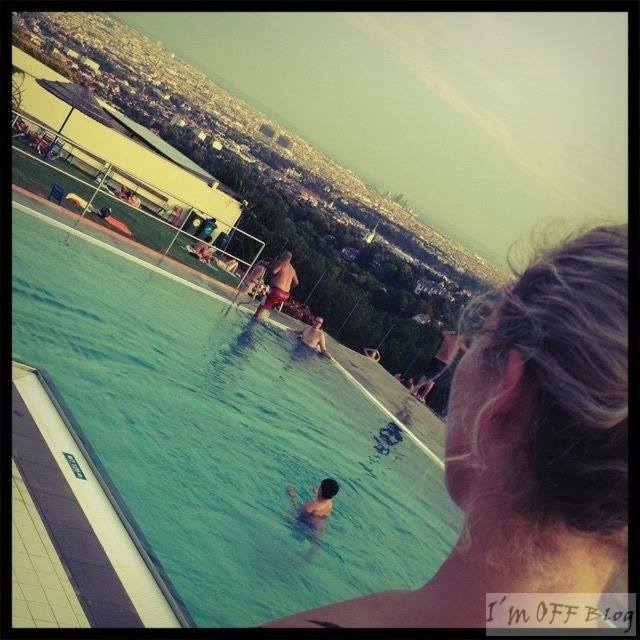 Another interesting and nice place is a swimming pool called Krapfenwaldlbad, mainly due to the wonderful elevated location between Grinzing and Kahlenberg. 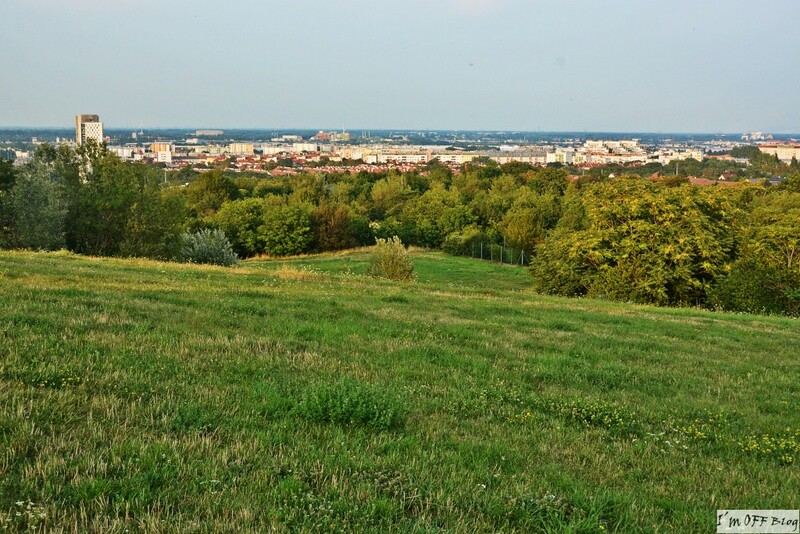 Hiking lovers should also feel satisfied as Vienna offers many urban trails and educational paths. Climbing a hill covered with grapevine does not require extreme effort. 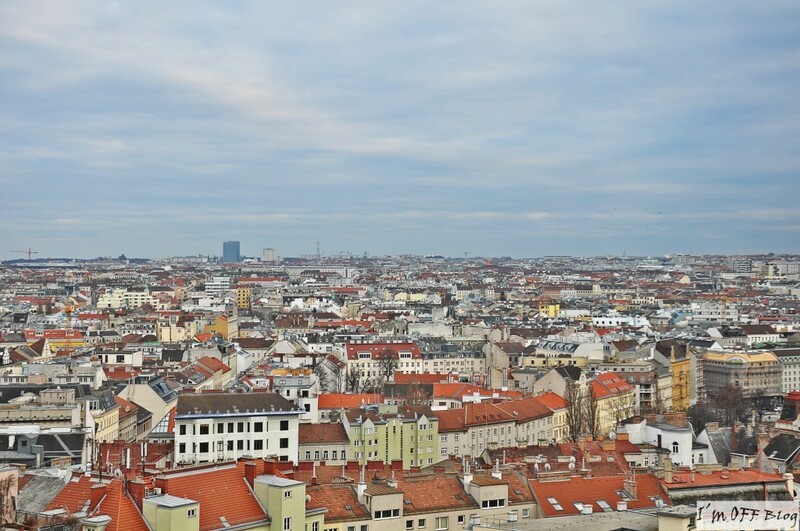 A breathtaking city panorama can be enjoyed from the 382 m high Cobenzl mountain or 425 m high Leopoldsberg. The European oldest zoo – Tiergarten Lainzer, is also worth visiting. In the former imperial hunting grounds, today there live wild boars, roe deers and deers. Viennese wine bars, so called Heurige, are almost as famous as St. Stephen’s Cathedral. 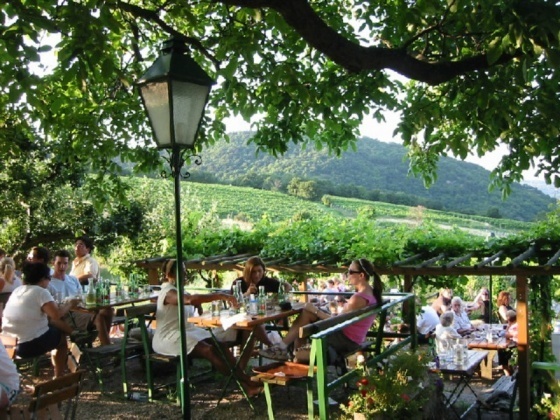 Locals simply love to hang out in the homely pubs with gardens overlooking the vineyards. There you can serve only home-made wine and a certain kind of dishes from the buffet. Great atmosphere, live music and traditional food (Viennese schnitzel!) perfectly reflect the word gemütlich, that is homeliness and comfort. Most of heurige are located on the outskirts of the city, the most famous are in the 19th district. The biggest beach club in the city. Under palm trees, on the fine sand, you can play beach volleyball, charge with positive energy, eat and drink. In the evening, these are the DJs who take care of the entertaining atmosphere. 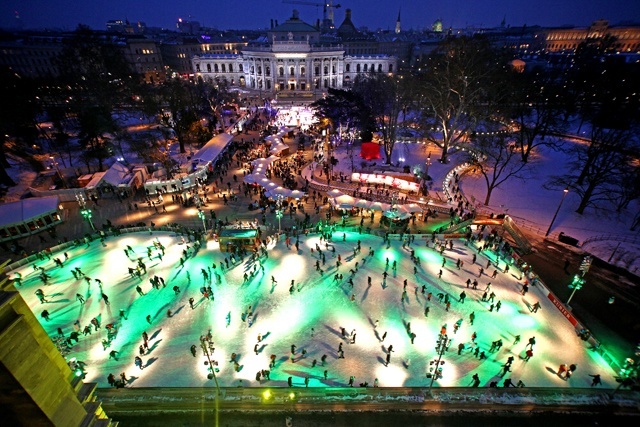 Between the 22th of January and 8th of March, 2015, the City Hall Square will turn into a huge skating rink. To the disco (sometimes waltz) beat, charming ice alley with many bends will lead through the romantically lit city hall park. Of course, as befits the city hall square, you cannot complain for the lack of stalls with food and drink. The most important parks in Vienna are: Türkenschanzpark, Donaupark with Donauturm, Blumengarten Hirschstätten, Augarten, Burggarten. 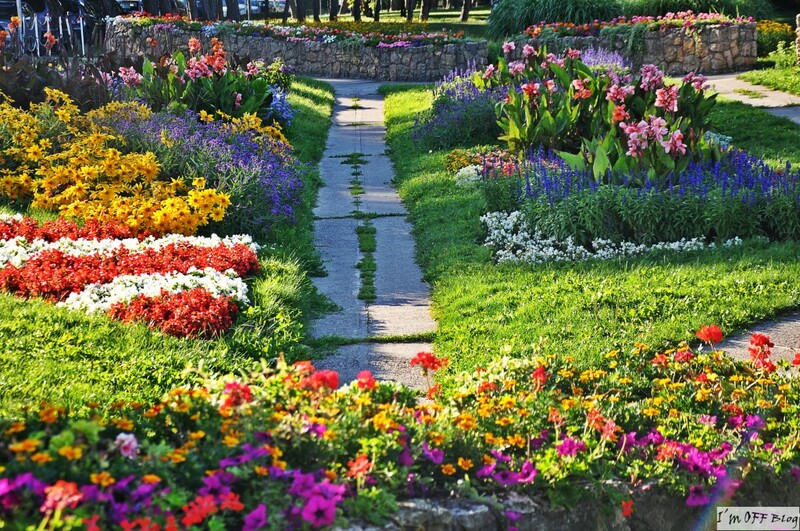 They encourage walking, enjoying diversified vegetation, lounging on the green grass and organizing picnics. 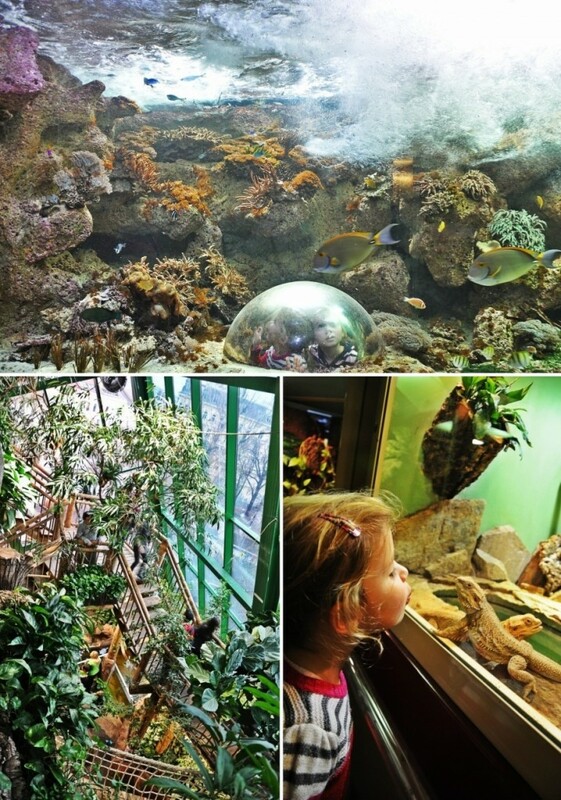 In the largest marine aquarium in the city, on several floors, you can admire fishes from around the world. There is also the house of the tropics where you will be welcomed by free-roaming apes, free- flying birds and other animals. 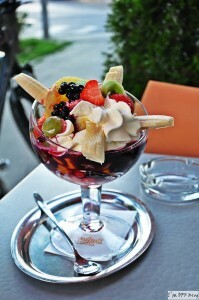 On the 11th floor there is a cafe with a beautiful view over Vienna. 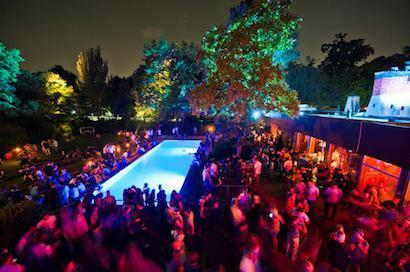 Former sauna in Vienna Prater park transformed into a club with tasty cocktails, swimming pool and good music in the background. At the sauna complex, the party takes place on a few floors and attracts the cream of the crop, the young and beautiful.